How do you make any food an instant crowd-pleasing appetizer? 2.) Wrap it in bacon. Because bacon, obviously. You’ll make about 95% of people happy with bacon. And the whole bite-sized thing makes things so much easier. Because sometimes it’s painfully awkward to try to eat food off of plate with a fork while standing and also trying to hold a drink. Especially when you’re really hungry and the food is awesome (read bacon point.). Then it’s just frustrating. Do you try to scarf down the food super fast so you can set down the plate and continue to mingle with your drink? That’s probably a better option than chugging your drink so you can mingle with food. Or at least a little more socially acceptable. And then what about when you see a friend you want to hug, or somebody is introducing you to a new acquaintance and you want to shake their hand, but you can’t? Just so much awkwardness. Awkwardness is the last thing you want at your party, yes? 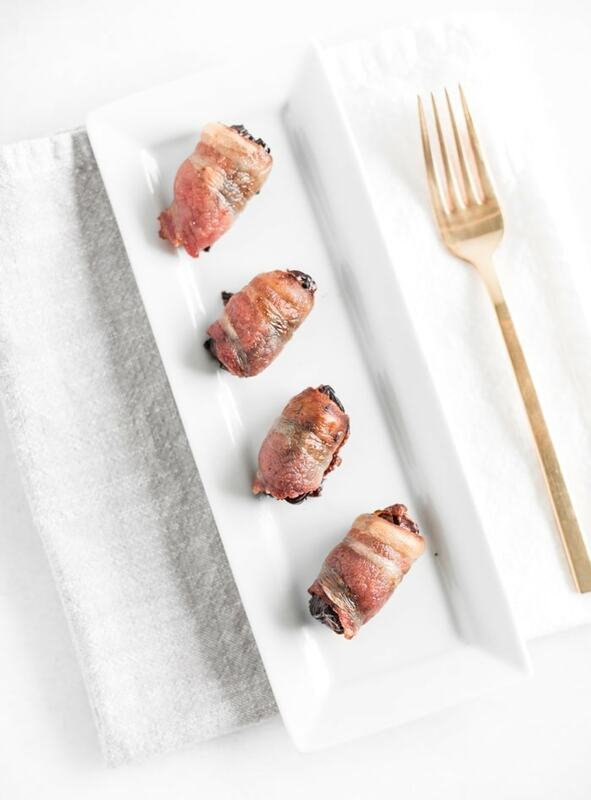 So do your guests a favor and serve bite-sized bacon wrapped dates. Happy bellies and non-awkward happy guest mingling. You’re welcome. 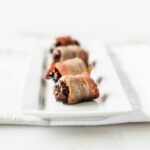 Wrap each date lengthwise with a strip of bacon. 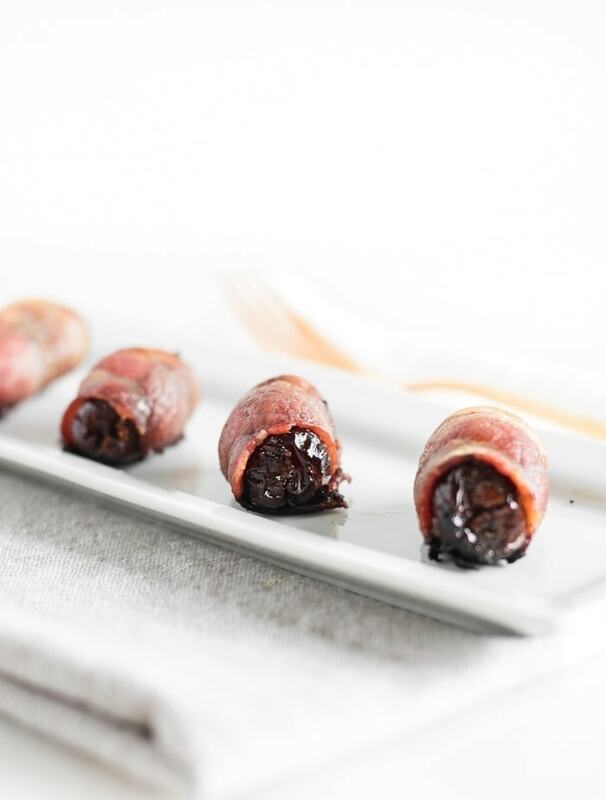 Place all dates in a single layer on prepared baking sheet. 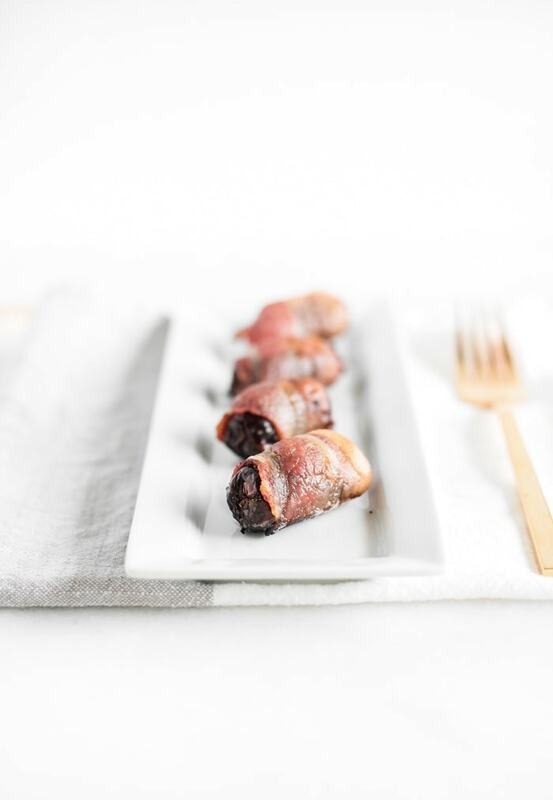 Bake dates for 10 to 20 minutes, or until bacon is done. Cool before serving. Store leftovers in the refrigerator.